ORYX and buffalo heads stare glumly from the walls of James Purdey & Sons, a swanky London gunmaker. In cases beneath them stand some of the priciest weapons in Britain. The firm's elaborately engraved shotguns take up to two years to produce and cost at least 80,000. Many customers buy a pair. Shooting is an expensive hobby, even without so extravagant a weapon. But licensing a gun is cheap. Owners pay only 50 to register for five years, a fee that has not risen since 2001. Police chiefs say the cash they collect covers barely a quarter of what it costs them to run the licensing scheme, and that they are spending more than 17m a year to cover the shortfall. That is not a big number, but it rankles at a time of austerity, the police have suffered from more than other public services. The problem is not just that inflation has eroded the value of the fee, says Andy Marsh of Hampshire Constabulary. Better monitoring of gun owners has made the system more expensive, and the workload is growing as gun ownership creeps up. Since fees were set in 2001 the number of guns held by civilians in England and Wales has risen by 14% to 1.8m, the highest number since detailed record-taking started two decades ago. As their ranks have swelled, political support for shooters has rebounded. Among the many populist pledges put forward by Nigel Farage, the leader of the UK Independence Party, is a promise to loosen gun laws if elected. Conservative bigwigs probably think that a small public subsidy for gun owners is a meagre price to placate voters in their rural heartlands—especially given that the Tories have not yet held a promised vote on repealing the ban on fox hunting for fear that MPs would vote to uphold it. In September a cabinet subcommittee blocked a plan, backed by the Home Office, to push up the gun licence fee. 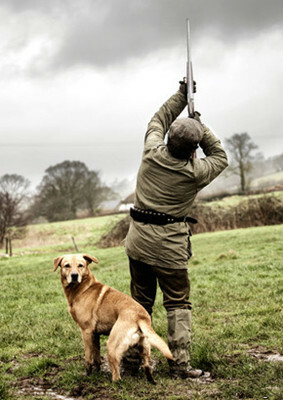 Britain's discreet but well-connected shooting lobby accepts that sooner or later a fee increase is inevitable. It demands that police cut bureaucracy from the licensing process before asking gun owners to stump up more. This stubbornness seems to have prodded officers into patching the system up, but it would be wise to wave through a deal. Shooting down a small rise this year would probably mean having to stomach a loftier one in future, especially if the Tories lose the next general election. That would be a worthless trophy. But a plot description could take up all my space, and more. Ten billion twitter messages take up little storage space: about five terabytes of data. A quarter of children in the country suffer from malnutrition. I felt a smile creep up. Love seems to creep up on you. A joint venture is encourage to market its product outside china. I encourage to join the list and contribute your thoughts to the project.